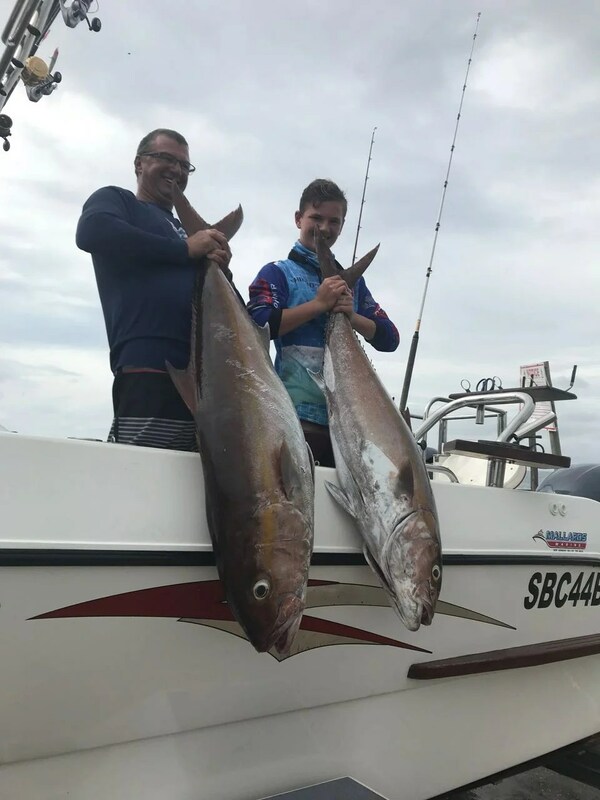 The Botha family down the south coast of Natal, led by Dad PJ, have a phenomenal record of catching outsized Amberjack. Sons Tyler and Greg make up the formidable team on the good ship Watt4. 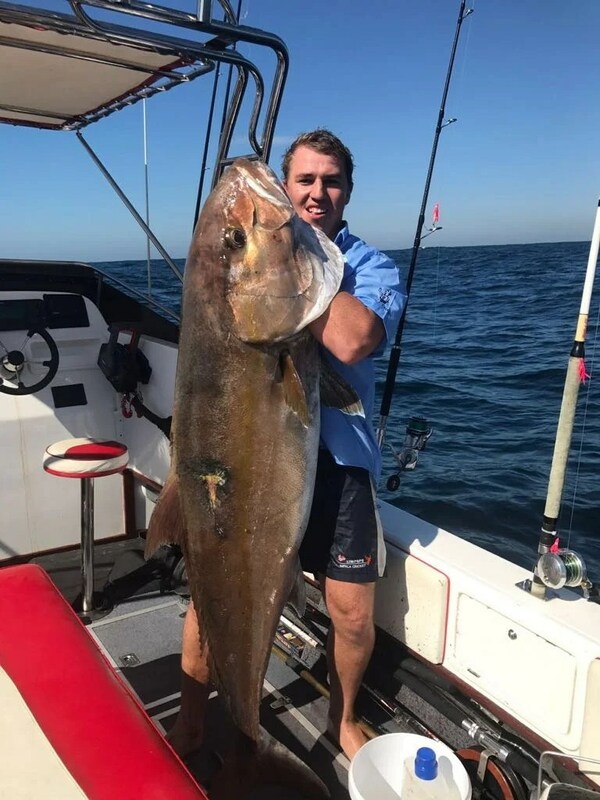 A 48kg Amberjack by Tyler Botha aboard his Dad’s boat Watt4. The fish was taken deep off Shelley Beach somewhere. Tyler breaks the magical 100lb mark with this monster Amberjack taken last week. And the very next day, his Dad PJ and brother Greg back it up with a brace of fish weighing in at 30kgs and 26kgs respectively. Along with the huge yellowfin tuna taken the week before, way out off Shelley Beach, these fish mark some of the most noteworthy fish ever taken off Shelley Beach. And the fact that these fish mark the advent of two new sport fishing opportunities bodes really well for the fishing off Shelley Beach. Not only do you have the gamey yellowfin and other pelagics on Protea Reef (and sharks), and the super exciting backline fishing for couta and snoek, the vaste variety of bottom feeders…(and many more) but now you can also go super deep and take on these denizens. To get out there, get in touch at umzimkulu@gmail.com and lets put a package together for you. In a week on the coast we can get you out deep chasing monsters, catching shad for live baiting garrick and kob from the side, and patrolling estuaries for rock salmon and kingfish. For more fishing adventure options, check out our Trips and Travel section.